Just playing around with a new After Effects experiment without using any 3rd Party plug-ins! I need to refine some parts of the effect but I really want to make a tutorial for it ASAP! Here are some other projects you may have missed! 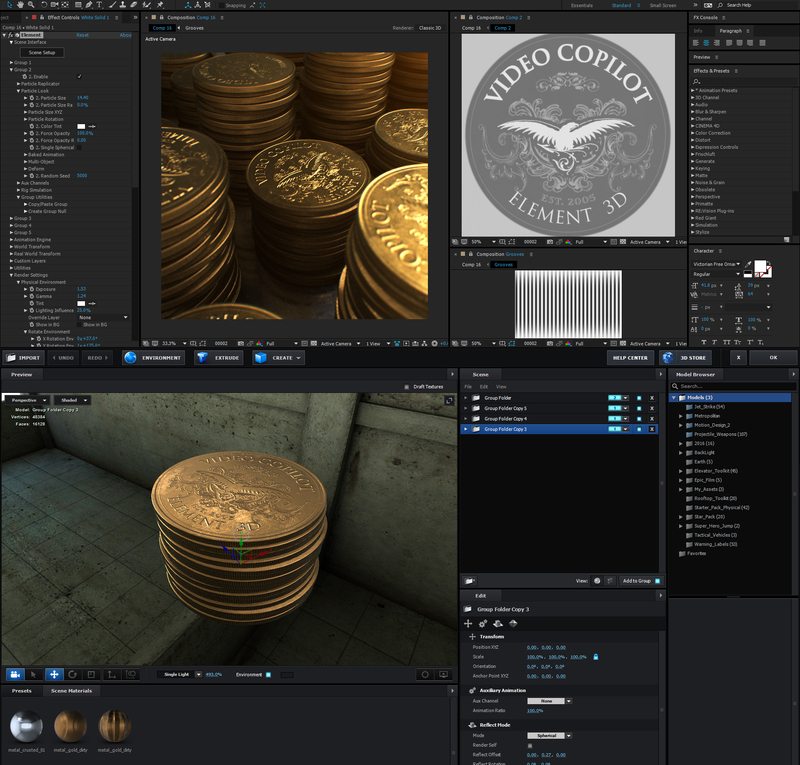 Using Element 3D bummp mapping to create some Gold coins and building a reactor! Counterfeiting… I mean, the making of!